I've just spoken with Premier @phcouillard and am being briefed by our officials. We have offered any & all assistance needed. It's going to be a long night. I'll keep you all updated as best as I can. 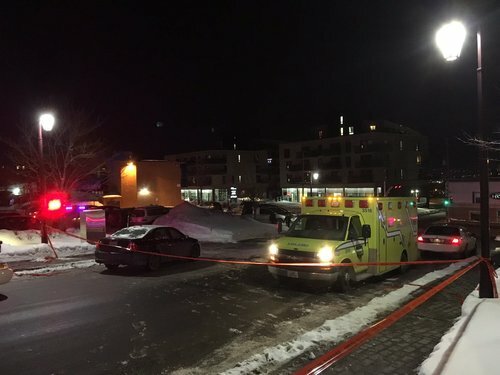 Quebec provincial police confirm that six people are dead and eight were wounded in tonight's shooting in Quebec City. Six dead, eight injured. SQ give an update on mosque shooting in Quebec City. Two suspects in custody, police don't believe any others involved. Man standing in cold outside center where police talking to witnesses: "My friend died. We are trying to figure out how to tell his wife." Quebec premier Philippe Couillard tells Muslims in capital "Vous êtes chez vous" - you are home. "We are with you. You are home. You are welcome at home. We are all Quebecers." Philippe Couillard says. 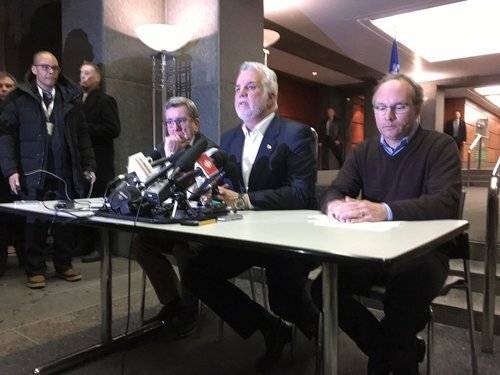 Premier Couillard to Quebec's Muslim communities: We are with you. This is your home. We are all Quebecers. You are welcome here. A second police perimeter is set up in area around Heart Institute in QC.